How to See Recently Used Apps in Android 4.4.4 KitKat Phone? Keeping an eye on the open apps is always a good habit as it would help you to keep the memory usage at the minimum which will, in return, help your phone to perform, quickly and smoothly. If you want to see the open apps in the Android 4.4.4 KitKat phone, it is set by default. Just tap the ‘Home; button on your Android 4.4.4 KitKat phone. It will open a vertical list of all the recently opened apps. 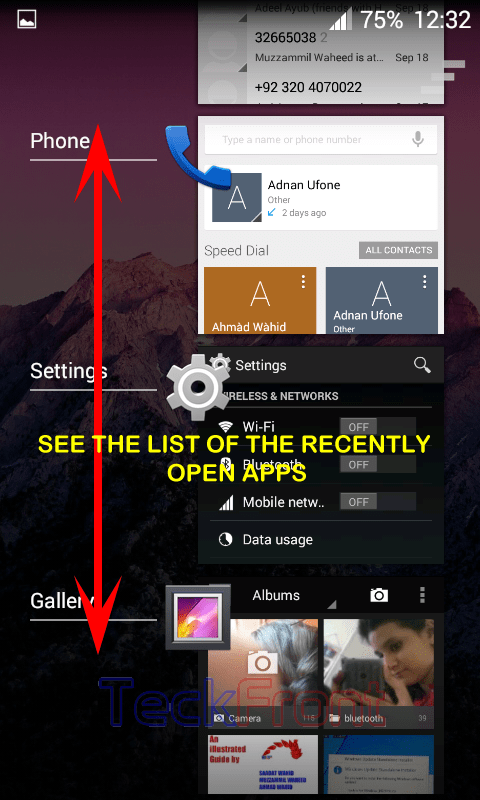 If you want, you may set the ‘Menu’ button to open the recently opened apps on your Android 4.4.4 KitKat phone. Newer Video Tutorial: Setting Pulse Notification Lights on Android 4.4.4 KitKat Phone? Older How to Enable Vibrate on SMS Notification in Android 4.4.4 KitKat Phone?